Good news for fans of Colony. This week, USA Network announced the TV series has been renewed for a third season. The sci-fi drama takes place in the near-future, in a world where citizens are under military occupation by an organization known as the Colony Transitional Authority. The cast includes Josh Holloway, Sarah Wayne Callies, Peter Jacobson, Amanda Righetti, Tory Kittles, Adrian Pasdar, Kathleen Rose Perkins, Isabella Crovetti, Alexander Neustaedter, and Jacob Buster. The season two finale of Colony airs this Thursday, April 6th, at 10 p.m. ET/PT. So far, the season is averaging a .26 rating in the 18-49 demo and only 814,000 viewers. However, even though the series’ ratings are poor, Colony has earned some critical acclaim over the course of its first two seasons. USA Network has ordered 13 episodes for season three of the show, which is moving production to Vancouver, Deadline reports. What do you think? 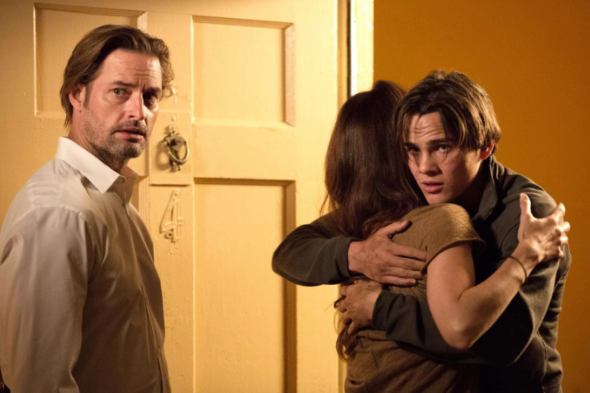 Are you a fan of Colony? Are you glad it’s been renewed? really love the show. it’s well written and I want it to stay! When is season 3 to begin?? I can’t wait! Excellent show! One of the best sci-fi on any network! One of the few series on television that I enjoy. Very glad it is returning for a third season. So glad there will be a third season! Can’t wait! The wife and I have been big fans of Colony from the very beginning. We weren’t sure about it at first as we were trying to figure out what was going on but the more we watched the more we got sucked into the vortex. We’re glad it’s renewed and we can’t wait to see season 3. I have given it the time needed and sometimes shows that have a buildup end up being great entertainment.. The 2nd season was much better. Different plots are fun. Today there seem to be far to many with same plot, just different people.